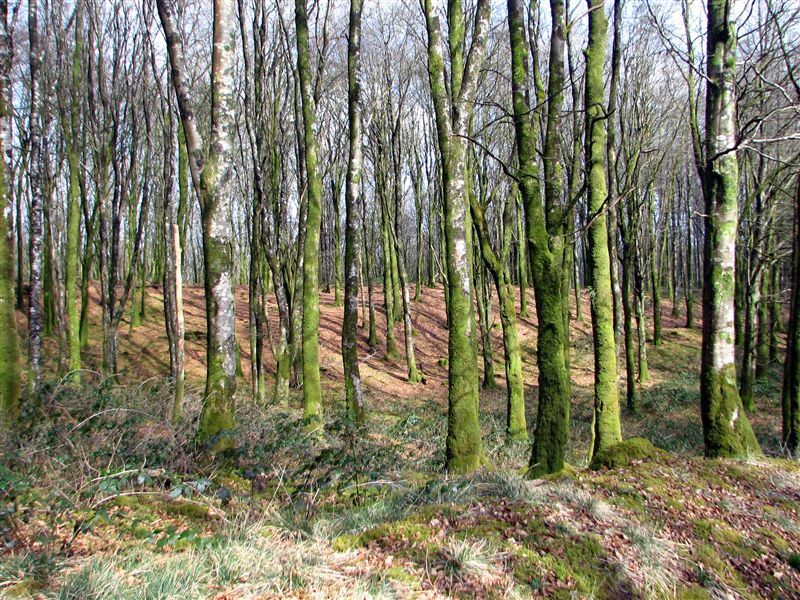 When the urge to walk around Ireland’s biggest beech plantation kicks in (and you just know it will), then you’ll need to get yourself to Mullaghmeen forest in Westmeath. In fact, it’s the largest beech forest in western europe, not that this makes it any easier to find. On my drive to the park I severely doubted the wisdom of using my Nokia phone’s GPS feature as it took me down increasingly narrow roads. When grass started growing in the middle of the path and plants began trying to get in the window I really started to wonder if I was on the right track. In the end though, the phone got me practically to the gates of the park, so I was duly impressed and won’t doubt the instructions again. As ever the wise course of action is to have maps along and know roughly where you are going – and where you are – so if the device packs in you aren’t completely lost. At 258 meters Mullaghmeen is the lowest of Ireland’s county high points, so I felt it would be suitable to bring my three-year old son along for the walk. 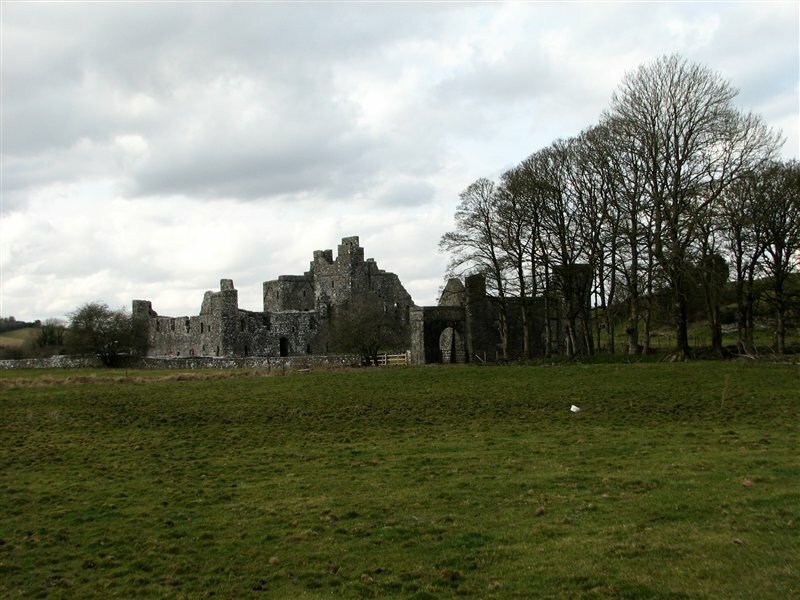 During the drive down we were both delighted to see so many spring lambs and calves in the fields, not to mention our surprise at coming around a bend and sighting the wonderfully atmospheric Fore Abbey lying at the bottom a picturesque valley. The park has a fine area for cars with a couple of picnic tables along with information boards outlining the routes that can be followed. We took the red route which forms a 45 minute loop that meanders over rolling hills and links off to several items of interest such as flax pits and famine fields. It all looks very pretty and I imagine a little later in the spring the forest will look even better with a fresh burst of flowers in bloom on the floor. 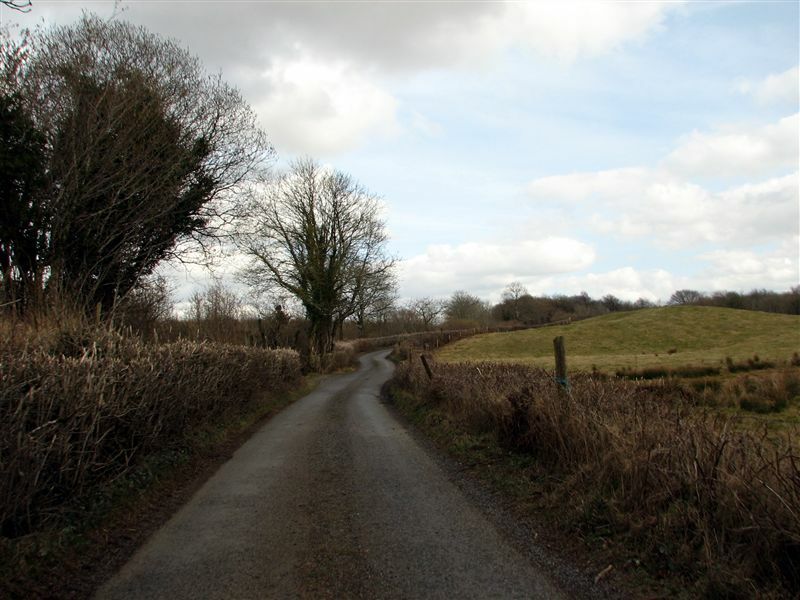 A short detour takes you up clear of the forest to the summit cairn where fine views can be had to Lough Sheelin to the north, among other attractions. 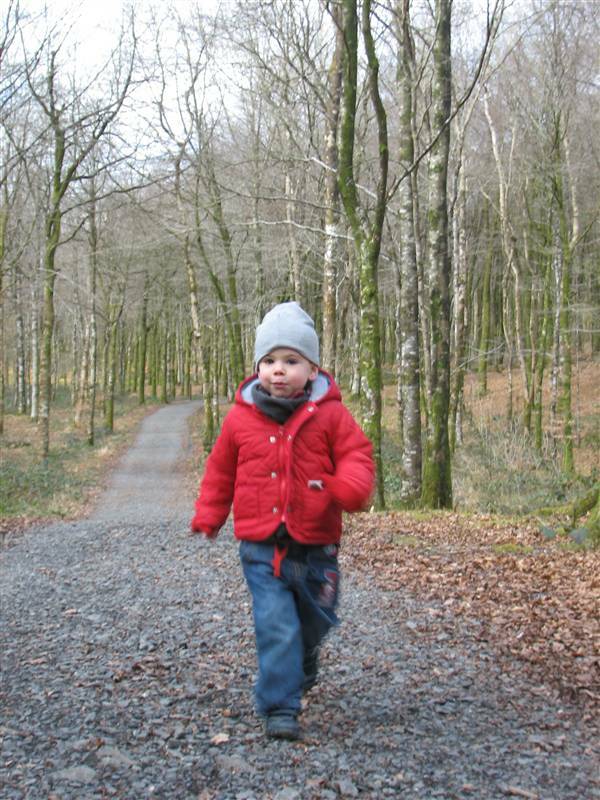 This was a pleasant walk which gave my son a great sense of achievement. He loved being the highest boy in Westmeath and can’t wait to go back. The path was accessible all the way with the buggy, which was just as well as the boy chose to enjoy the scenery while being pushed up some of the hills. Don't be fooled. This child spent half the time being pushed in his buggy! If you only intend to walk in the park then you won’t need map sheet 41. The Irish times recently did a piece on the park, you can read it here. 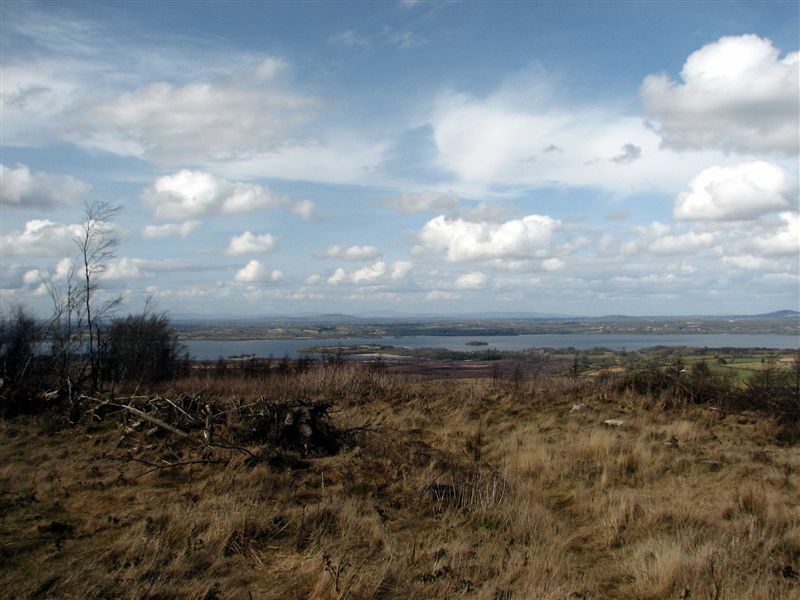 [October 2010 edit] – The Irish Independent have also written a piece on Westmeath’s highest point. Here’s what Coillte says about Mullaghmeen, including downloadable map. Love your description of the walk in Mullaghmeen – one of my favourite places to walk to … still haven’t made it to the top of the cairn though … maybe this year! Thanks BeyondtheBlarney, I’m looking forward to revisiting Mullaghmeen soon as there’s plenty more to explore there that I didn’t see the first time around. Also, I saw the park in early spring, so I’d like to revisit when the season is in full swing. We did Mullaghmeen on Bank Holiday Monday. Our Sat Nav let us down but we got there eventually. Such a lovely Coilte Park. The weather was great and the beech forest was fabulous with beautiful limey green leaves against the blue sky coupled with the beds of bluebells everywhere made it extra special. From the hill top the views of Lough Sheelin were great and well worth the long route that we took having hiked about 6 miles on the white trail in reverse and about half of the red trail. Our 9 year old as usual took it in her stride and the 7 year old is learning the benefits of perseverance. Our 3 year old took the more relaxed bird’s eye view on Daddy’s shoulders much of the way. Getting hooked on the hill tops now. It’s a lovely spot alright, but not so easy to find! I revisited recently with my now 4 year old, this time around we cycled most of the way though. I hope you get to take in more of the hills. One of our dogs (Leah) went missing in Mullaghmeen on Tuesday 27th Dec 2011. Jack Russell, 6 years old, black body with 4 tan legs & face with small white patch on chest. **Please Please let me know if you have seen or heard of a dog matching this description.